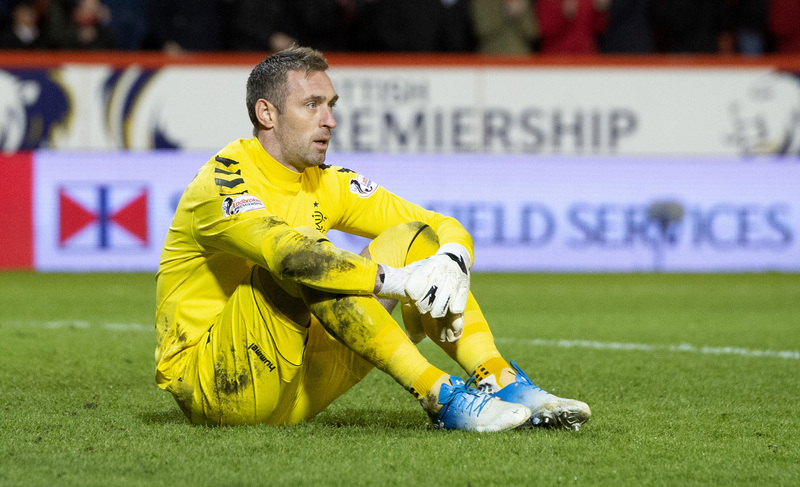 RANGERS goalkeeper Allan McGregor has been charged by the SFA over an incident in his side’s midweek win over Aberdeen. The 37-year-old has been offered a two-match ban for catching Lewis Ferguson with his boot as he came out to collect the ball. The notice of complaint states that the incident was not seen by any of the match officials at the time. Two red cards were shown in the heated match, one to Dons defender Scott McKenna for a kick to the face of Alfredo Morelos. Morelos, who scored twice in the first half, was himself sent off for appearing to stamp on McKenna in the same incident. Rangers have appealed that decision, and await the outcome ahead of their cup clash with Kilmarnock tomorrow.